The herb remedies and herbal cures described in this section are suggestions to use on certain specific conditions, ailments and diseases. 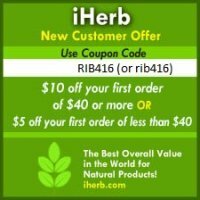 Please scroll down this page for a discussion on herbal remedies and cures, including how to use herbs effectively and a comparison with prescription drugs. If you are interested in terminologies, you may want to first read the page on Natural Health Remedies, Natural Health Cures, Organic Remedies & Organic Cures for my take on the definition of a "cure", a "remedy" and "medicine". In gist, I generally use the terms "cure" and "remedy" interchangeably. Click to jump directly to the list of articles for a specific health condition or ailment. FULL LIST OF ARTICLES UNDER "HERB REMEDIES"
Enjoyed these herb remedies and herbal cures? More herb remedies will follow. Using plants and herbs for medicine is something which has been done for thousands of years, in many different cultures on all the continents. There is only one possible reason for this - herb remedies work, and are very effective. Those who believe in a higher being would say this has been by design of the Creator - herbs being placed on earth for Man's health and healing. Indeed it has. Almost all spiritual texts mention the use of plants and herbs for food and healing. There are even some who say that there is no malady on earth which cannot be solved using herbs. Even animals often seek out herbs when they are sick. Whether I am seeking to improve my liver health, trying to increase my vitality to dealing with a condition such as high cholesterol, using herbs and natural supplements is, to me, infinitely better than using any form of prescription drugs. Herbs are just food. But they can do powerful things which most simple foods are not able to. Herbs are energy-rich, as they absorb and retain energy from the sun and the Earth. They are also concentrated sources of nutritious and healing vitamins, minerals, phytochemicals (plant chemicals) and antioxidants. Herbs can thus nourish, heal, revitalize and strengthen the body. In addition, many herbs have multiple uses and can be used to treat a variety of conditions, either singly or together with other herbs (i.e. herbal formulas). Further, the healing properties of herbs can be harnessed through herbal teas, powders or tinctures. Drugs are, in fact, formulated based on the mechanics or "active ingredients" found in certain herbs! For example, when it is discovered that a certain herb is a good laxative, the substance most responsible for such an effect is isolated, and then made into a drug. Why don't we directly use the natural herbs as medicines, then, you may ask? It's really because of money. Plants and herbs are food. They cannot be patented. Anyone can grow them. But drugs come with expensive patents and a lot of profits for their makers, the pharmaceutical companies. This is the reality of the world we live in. Believe or not, many a time, herb remedies are actually more effective than pharmaceutical drugs. And they are always safer. Why is that so? Drugs are formulated using unnatural and harmful chemicals. We are organic beings, and our bodies are definitely better able to absorb and use natural substances found in the plant kingdom. The fact that drugs are made using harmful chemicals is one reason why they always come with a whole host of side effects. They always do. It's just whether your body deals with them, and thus whether you actually feel them. Also, herbs are whole foods. This means that a herbal remedy would contain different substances and phytochemicals which work synergistically together to enhance each others' absorption and effectiveness (for example, one substance in a herb may help carry another substance to your bloodstream) or regulate each other (a particular substance in herb may be dangerous if taken in too high concentrations, but another substance may help neutralize excessive amounts which are not used by the body). This makes it much harder to overdose on herbs. Generally, herbs strengthen the body (good and nutritious food always does, doesn't it? ), whereas drugs only tackle symptoms. Between true and deep healing and superficial band-aids, I most definitely choose the former (unless the symptoms are so unbearable that I wish to seek some immediate relief. It happens). I've had several health issues throughout the years. My own experiences with herb remedies have mostly been fantastic. They help to strengthen my body, to heal it, as well as to relieve symptoms of pain, discomfort or poor functionality. At the worse, they don't work too well. No big deal. I have personally never been harmed by any herbal cure, herbs or herbal supplements which I have taken. When herbs used for medicinal purposes do harm anyone, it is likely because they have been contaminated, rather than because they are themselves toxic. On the other hand, using pharmaceutical drugs has come with a lot of false hope, frustration, heartache, side effects and long-term damage done to my body. Many times, they did not even work at relieving the symptoms which were giving me so much pain and discomfort. On a wider scale, did you know that thousands of people in the U.S. alone die every year due to the prescription pharmaceutical drugs which they are taking? This could be due to toxic side effects, drugs which had been mistakenly or too hastily passed as 'safe', mistaken diagnoses, etc. This number far outstrips the number of people who die because of herbs, which is very small. More reading material on this subject will be provided later elsewhere on this website. The benefits which come with the fact that herbs are whole foods are why I also prefer them to many supplements. That is because supplements often also use selected extracts or active ingredients. Between drugs and natural supplements, though, I would still choose the latter, for at least they are made from natural ingredients, are more effective and far less harmful. While herbal cures may be effective, they are not cure-alls, and should never be taken as a license to continue poor and negative lifestyle and dietary habits. To improve health or to tackle specific ailments and conditions, dietary and lifestyle changes should always form the foundation of your efforts. Herbs and supplements can help to keep things under control. However, when used in isolation, they may not correct the deeper underlying conditions and issues, and thus may not effect a permanent cure. This, of course, very much depends on the particular ailment or condition which is being treated. Some ailments and diseases are largely lifestyle and dietary issues, and to effect true and permanent healing of the underlying conditions, changes in those areas would definitely be necessary. For this kind of conditions, using just herb remedies and supplements would still largely be using a quick fix, not too dissimilar to using prescription drugs, but with perhaps better effectiveness and definitely less side effects. Herbs, when taken, have special effects on the human body. However, herbs need the proper 'fuel' to function. Therefore, if you are consuming large amounts of chemical-laden and innutritious foods, and subjecting your body to various abuses and lack of rest, the herbs which you consume would not have the necessary 'fuel' to do their work. Their effectiveness would thus be compromised. However, when used as part of a wider protocol which includes a clean and nutritious diet as well as positive lifestyle habits which benefit the body , the herbs in a herb remedy would then have a much better environment and tools to work with, and thus be a lot more effective. On the one hand, herb remedies and herbal cures have been known about and used for thousands of years. On the other hand, more research is being carried out today on the specific mechanics, functions and effectiveness of various herbs. Thus, the modern herbalist today, and in fact also the common man, has the advantage of combining traditional knowledge and wisdom about herbs with the results of new research and findings. Very importantly, when using herbs for health and medicinal purposes, the quality of herbs must be good. It is thus critical to find and use reliable sources of high quality herbs and / or reliable sources of top quality and effective herbal dietary supplements. You can also read about some of my thoughts on how to seek out quality sources of natural supplements, herbs and herbal products. Click here for more information on a List of Herbs with health-promoting and healing properties. Click here to read the page and section on my favorite Natural Healing Herbs, Herbal Formulas and Foods.